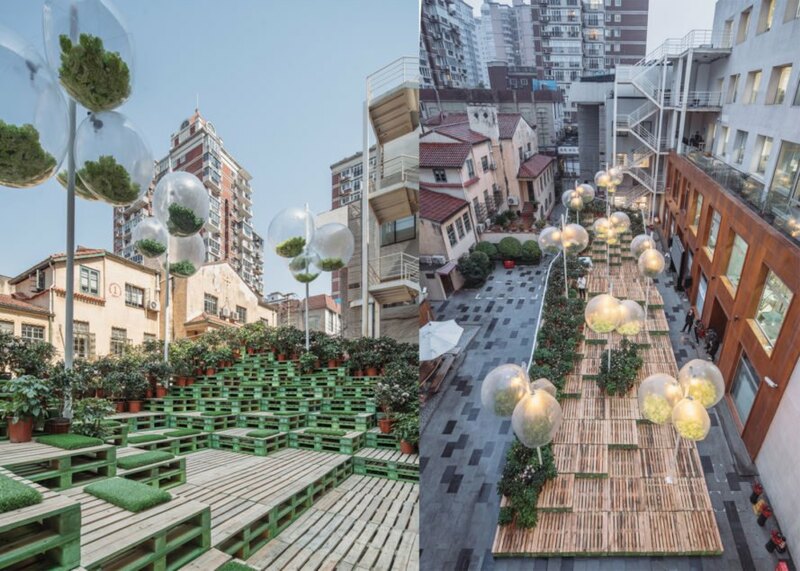 Shanghai’s hip Anfu Road recently sprouted a whimsical urban intervention that shows how one man’s trash create a treasured public space. 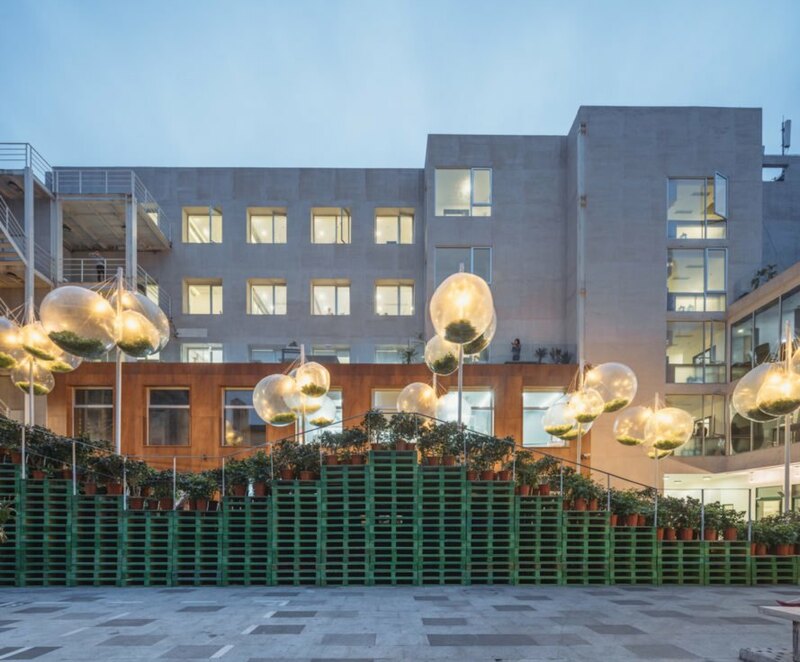 AIM Architecture and URBAN MATTERS designed the temporary urban park, called Urban Bloom, as an experimental exercise pairing reclaimed pallets with glowing tree-like sculptures. 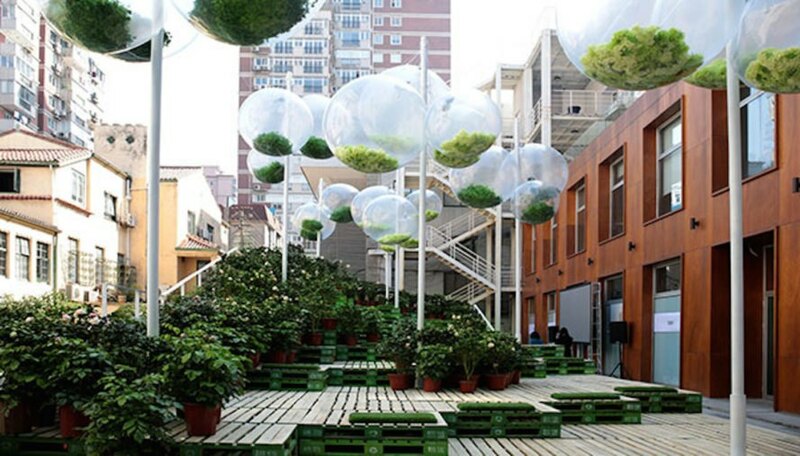 “Transformed into an ideal urban garden, and constructed entirely from artificial means, it is a project for a city that emphasizes people,” wrote the designers. Open to the public, Urban Bloom is nestled in a quiet courtyard with popular eateries and boutiques within striking distance. Recycled timber pallets are used as modular building blocks stacked to form seating and visual interest. The installation undulates on one side to resemble hilly topography. 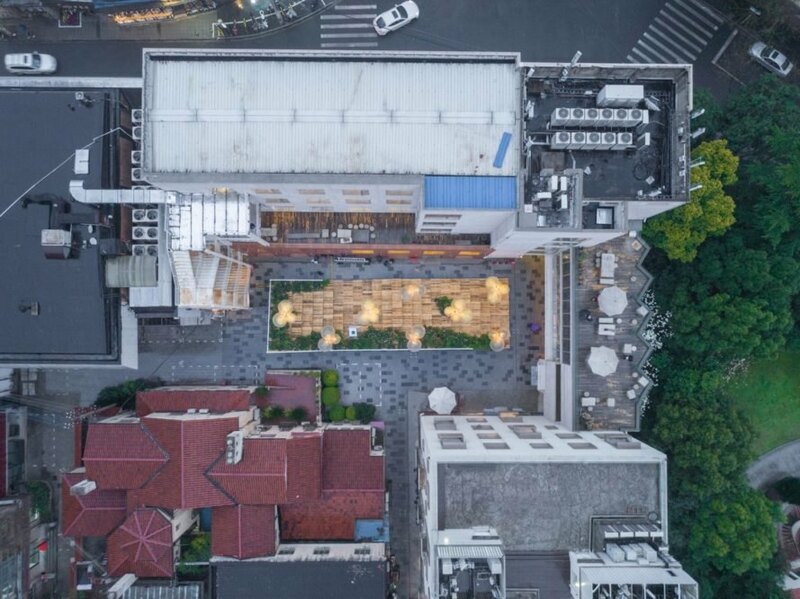 Shanghai’s hip Anfu Road recently found itself home to a whimsical urban intervention showing how one man’s trash could be turned into public space treasure. AIM Architecture and URBAN MATTERS designed the temporary urban park, called Urban Bloom, as an experimental exercise pairing reclaimed pallets with glowing tree-like sculptures. 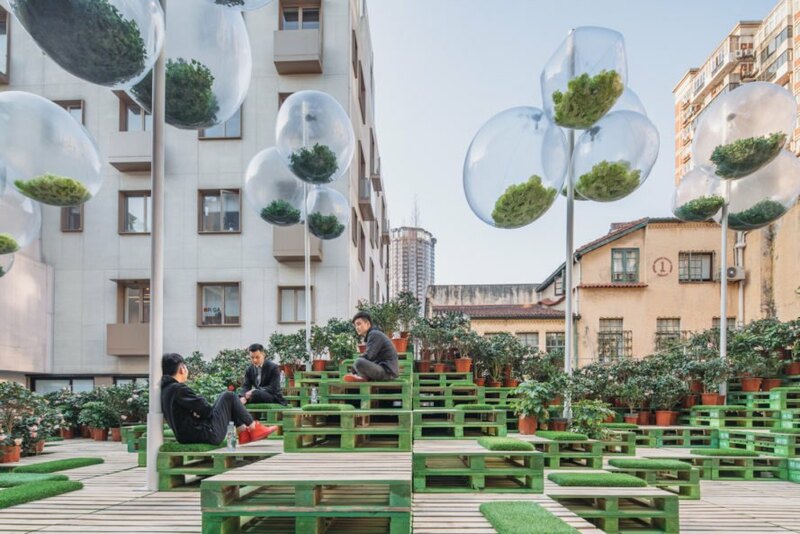 “Transformed into an ideal urban garden, and constructed entirely from artificial means, it is a project for a city that emphasizes people,” wrote the designers. Open to the public, Urban Bloom is nestled in a quiet courtyard with popular eateries and boutiques within striking distance. Recycled timber pallets are used as modular building blocks stacked to form seating and visual interest. The installation undulates on one side to resemble hilly topography. Potted plants are placed around part of the park’s perimeter to create a garden aesthetic. 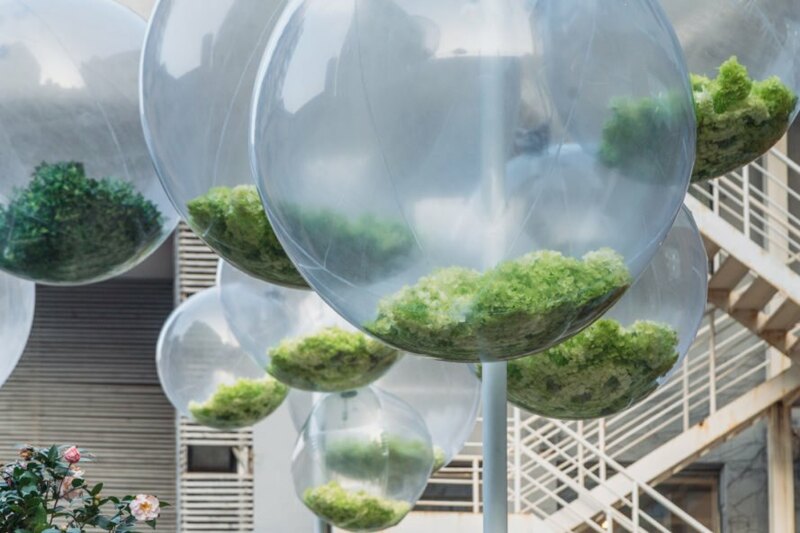 Plastic spheres tied to poles are filled with foliage in a sculptural take on trees. Repurposed materials were predominately used as part of the designers’ desire to promote sustainable concepts.